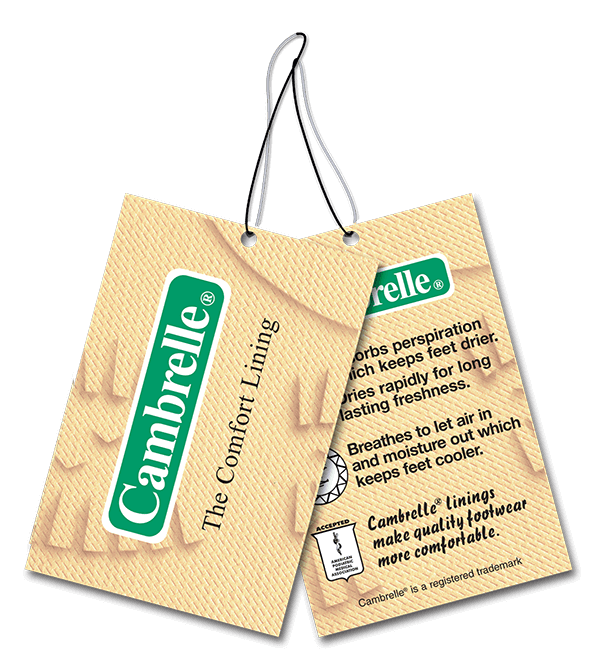 Cambrelle® is a registered trademark of Camtex Fabrics Limited. In the early 1970s, fibre technologists and chemists had created the possibility of producing a genuine bicomponent fibre that combined two polyamides, nylon 6 and nylon 6.6, in a single filament, where the one formed the sheath around a core spun from the other. It allowed the difference in their melt points to make it the ideal fibre for superior non woven textiles. Camtex Fabrics Limited was established specifically to bring this new product, Cambrelle, to the international footwear market. Workington in Cumbria, in the north of England, was chosen as the location for the company, where it is still based today. It was an inspired choice: Workington is on the edge of the UK’s internationally famous Lake District and the fell-walkers and hikers, who enjoyed its natural rugged landscape, were among the first consumers to appreciate the benefits that Cambrelle shoe linings added to their outdoor footwear. The advanced properties of Cambrelle were also recognised in the USA, where it has received the official seal of approval from the American Podiatric Medical Association. It gained further recognition and international protection as a result of Cambrelle’s pique pattern design being registered as a trademark in the USA, which gives extended protection to consumers against counterfeit material being passed off as the genuine article. Camtex Fabrics produces its range of Cambrelle shoe lining material in factories in Workington and China, a recent development necessitated by the demands of major Chinese footwear manufacturers and the global brands that have their footwear produced in Asia.